Hardwood Flooring adds warmth to any decor. Wholesale Wood Flooring adds a unique touch to your home. Owen Carpet carries many wholesale hardwood flooring manufacturers and offer wholesale wood flooring deals to fit your budget. Hardwood flooring adds a beautiful and natural touch. Wood Flooring also adds value to your home and is highly praised in the resale home market. Today's hardwood floors have made advances in style, durability, maintenance and care, making them more widely usable throughout the home. With simple sweeping or vacuuming and occasional spot cleaning, wood floors will last a lifetime. 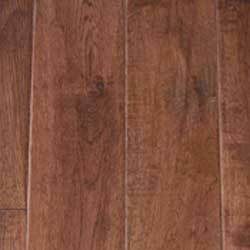 There are hundreds of choices in style and color with today's options spanning into exotic hardwoods.Most wood floors are available in several grades in a wide range of prices. Hardwood has two constructions which are commonly sold. "Solid" wood is milled from one piece of wood. "Engineered" wood consists of three or more layers in a cross-ply construction. Solid wood construction is generally used when installing over a wood subfloor where the hardwood will be attached to the subfloor. Engineered floors can be used almost anywhere in the home and are particularly well suited to installation over concrete subfloors. Wood flooring styles come in strips, planks. Wood flooring is also available in parquet tiles with numerous edge treatments such as square, micro, and beveled edges.You can choose from a wide range of stains to complement your decor and from several types of wood finishes..
Another factor that determines the appearance of wood floors is the angle, or “cut,” of the grain. No matter what the specie, construction or finish of a wood floor, it comes with one of three cuts: plain sawn, quarter sawn or rift sawn. Plain sawn is the most common. A plain sawn board contains a more open and varied grain pattern because the angle of the cut shows the growth rings more prominently. Quarter sawn cut wood is done at an angle that produces less board feet per log than plain sawn, therefore it can be more expensive. As for appearance, quarter sawn wood is tighter-grained for a more consistent look, which many find more desirable. Another benefit of quarter sawn wood is that it tends to twist and cup less and wears more evenly. Rift sawn wood is similar to quarter sawn in cost and benefits, but is cut at a different angle for a slightly different grain pattern. To keep your wood flooring in good shape and looking new, it is necessary to clean wood floors with a soft broom or vacuum. To maintain the wood floor's luster, use the manufacturer's recommended cleaner with a dry mop and a terry cloth cover. Urethane floors should never be buffed.